How a person functions properly and efficiently during the day can greatly be associated on the quality of sleep he or she got during the night. People who are suffering from any of the sleep disorders may experience a decrease of functionality at work or even at school. Insomnia is one of the most common sleep disorders that can affect almost anyone and can be caused by many different factors. 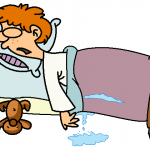 Insomnia is characterized by a difficulty in falling asleep and difficulty in staying asleep. There are several treatment options for insomnia, including natural remedies, which may involve taking in different kinds of herbs that can help in inducing sleep. California poppy (Eschscholzia californica) is a kind of flowering plant that is locally found in western United States and mexico. California poppy has been used for a long time as a herbal medicine, since it is thought to have several health benefits that can help in treating several medical conditions, such as insomnia, anxiety, depression, and many more. 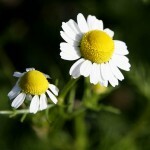 This kind of flowering plant contains an active compound known as “protopine”. Protopine has been described to have some kind of similar effect with morphine. However, the California poppy does not contain any narcotic morphine, only the structure of California poppy and morphine is the same. Since California poppy does not contain the narcotic morphine, it does not have any addictive properties. A lot of herbal medications currently contain California poppy, since it is an effective sedative and sleep inducing herb. Studies indicate that the California poppy contains 2 active compounds, namely californine and protopine, which are responsible for its medical properties. Those 2 compounds are alkaloids that act similarly with benzodiazepines, which is effective in treating insomnia. Aside from treating insomnia, California poppy can help have other therapeutic uses, including treating anxiety that can lead to insomnia. Is California Poppy Safe for Children? 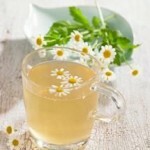 Not all herbal medicines are safe to be given to children, since not all children can tolerate the compounds and properties found in certain herbs. However, California poppy does not contain any harmful substances and compounds that can have negative effects to children. It only contains mild sedative and analgesic properties, which is safe to be given to children. How to Prepare California Poppy? California can be taken in two different ways. 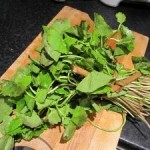 It may be taken as a tea form or as a tincture. 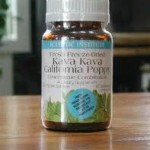 For California poppy tea, just drink 1 cup of tea, 2-3 times per day. In preparing the tea, you can use the plant’s leaves, flowers, stem, or all of them, and you can have them dried or you can directly use it fresh. 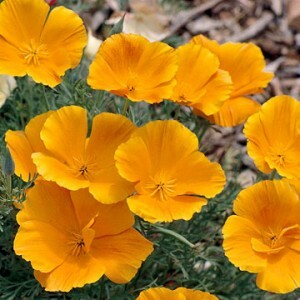 Just pour boiling water to the California poppy, and let it steep for 10 minutes and drink. 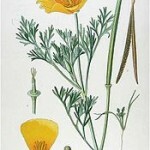 For California poppy tincture, it is advised to take 30 to 40 drops, 2 to 3 times per day. When a stronger effect is desired, taking the tincture instead of the tea is advisable.